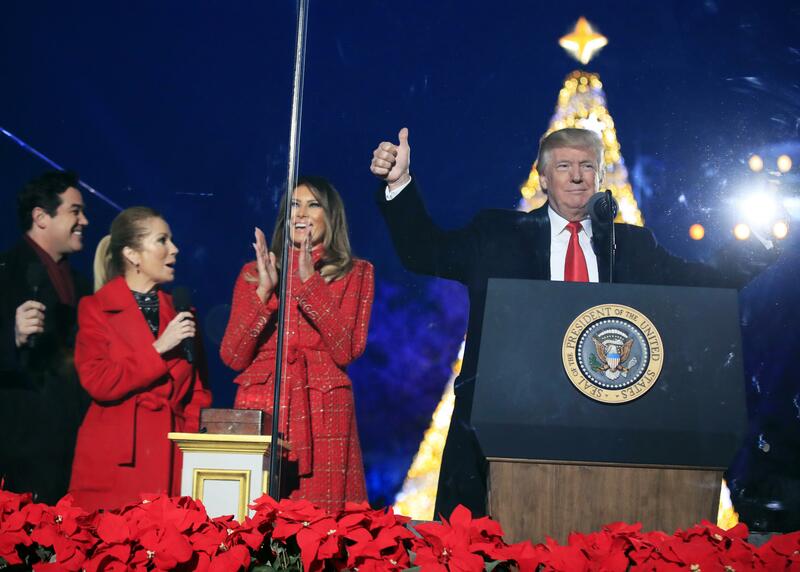 Thu., Nov. 30, 2017, 5:14 p.m.
WASHINGTON – Ringing in the holidays for the first time from Washington, President Donald Trump lit the National Christmas Tree Thursday evening, wishing the country “a Merry Christmas” – as he vowed to do during his campaign. During his campaign, Trump had promised that, when he was elected, people would be saying “Merry Christmas again,” a reference to what he characterized as the country’s obsession with political correctness. In Trump’s view, the move toward the use of the more inclusive “happy holidays” phrase minimized the Christian celebration. “I sort of feel we’re doing that again,” he said to an audience that included many of his family members. This year marks the 95th annual National Christmas Tree Lighting. The tradition began in 1923 with President Calvin Coolidge and takes place in President’s Park, just south of the White House. Published: Nov. 30, 2017, 5:14 p.m.